It's that time of year once again -- sniffles and sneezes galore, cherry-tipped noses running at a constant pace, stomach bugs the culprit behind bedroom confinement and misery. As people navigate the trenches of winter illnesses, getting a proper diagnosis is imperative for adequate healing. Here, Pacific Medical Center's Dr. Dimple Sahay explains the distinction between the flu virus and the common cold, and offers wisdom for recovery that will leave even the most agonized victims with pep in their step. This time of year, various illnesses are running rampant. Can you inform readers on how to differentiate between colds and the flu? Both colds and flus are caused by viruses. While there are hundreds of viruses that can cause colds, the flu is mainly caused by influenza A and influenza B. Symptoms can overlap for both, but colds are generally milder than flus and don't lead to serious complications. The flu is sudden in onset and has several associated symptoms including fever, chills, extreme fatigue and body aches. 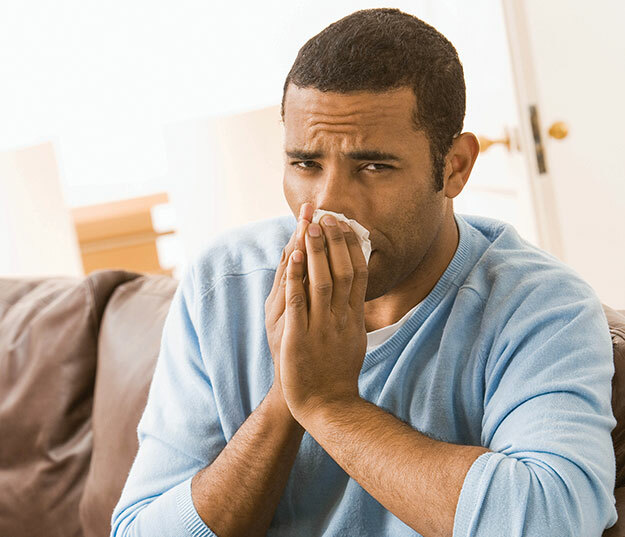 Colds have a gradual onset and involve upper respiratory symptoms including runny nose, nasal congestion, sore throat and sneezing -- but typically no high fever, chills or extreme fatigue. What symptoms should people be on the lookout for that may indicate the flu virus has been caught? Flu symptoms include sudden onset of fever, chills, body aches, headaches and fatigue. People with the flu can also experience a loss of appetite, sore throat, runny nose and a cough. In some cases, people may develop gastrointestinal (GI) symptoms such as vomiting or diarrhea. It's important to note the flu can lead to serious complications like pneumonia, bacterial infections and hospitalizations, especially in high-risk populations such as the elderly, immunocompromised, pregnant women and children under the age of 2. What precautions can people take to avoid or lessen the severity of the flu and colds this season? The Centers for Disease Control (CDC) recommends an annual flu vaccine for everyone 6 months and older. People should also take certain general precautions like frequent hand washing, covering your mouth and nose while coughing, sneezing with tissues and disposing it properly and cleaning your hands with alcohol rub afterward. It's also important to wipe down surfaces such as doorknobs, toys and computers to prevent spreading germs. If flu symptoms develop, it's recommended to stay away from work, school or other public places until you are fever-free without using fever-reducing medications for at least 24 hours. Antiviral drugs should be taken within 48 hours of an onset of symptoms to help decrease the severity and duration of symptoms. Time is of the essence for military members and their hectic lifestyle. Do you have any tips for initiating a speedy recovery from seasonal ailments? Once flu symptoms are recognized, I recommend to patients to rest and stay hydrated. When sick with the flu, people should stay away from work and school until their symptoms of fever and chills resolve. Residual symptoms of weakness, fatigue and respiratory symptoms may take up to one to two weeks to disappear. I also recommend taking over-the-counter fever-reducing agents for fever and discomfort. As I previously mentioned, taking antiviral medications within 48 hours of an onset of symptoms can also be key in decreasing the severity of symptoms, especially for those in a high-risk population.